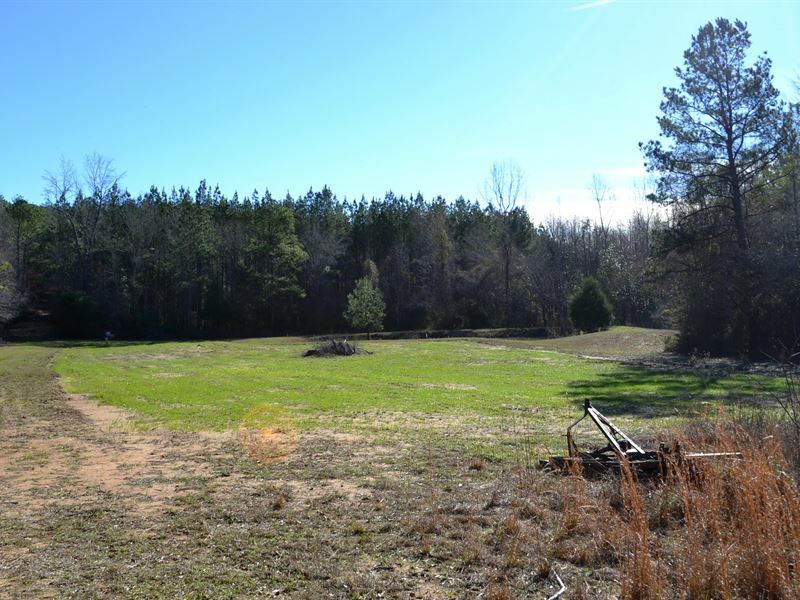 This a beautiful 69 +/- acre recreational and hunting property located in Autaugaville, Alabama. The property is located on CR 13 and is an easy drive from Prattville and Montgomery. The tract consists of 69 +/- acres of mixed timber and green fields. The majority of this timber is comprised of merchantable hardwoods; however there is also a nice stand of pines. There is a great road system and a firebreak that surrounds the entirety of the property. Some of the cosmetic appeal of this tract includes a small pond fed by an artesian well, 6 newly planted pecan trees (3 years old), 15 blueberry bushes and a plum tree. This area is known for good deer and turkey hunting and this property lives up to that claim. As for the hunting, there are 5 green fields, 2 shooting houses and several stands. On top of all this is the fact that property is also well suited for a home site. It has good access and frontage on CR 13 and there is already a workshop, shed and garden on site.